UPDATED: Tue., Aug. 28, 2018, 9:20 p.m. 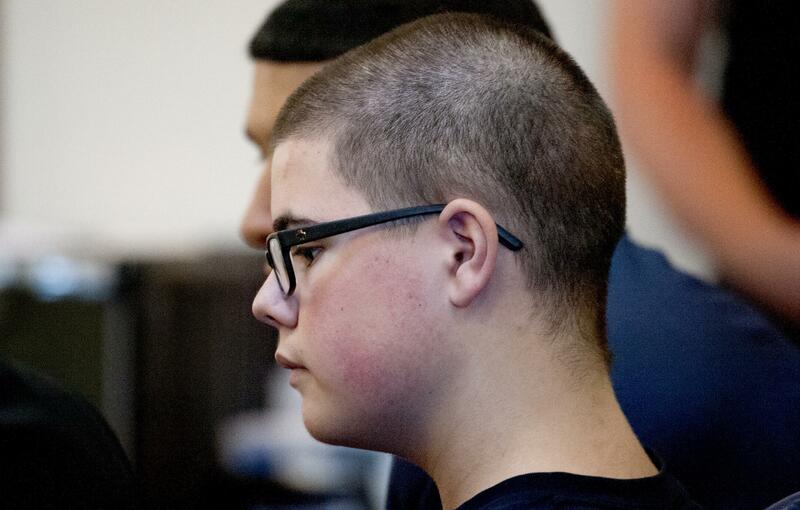 Prosecutors have again delayed a hearing to determine whether suspected Freeman High School shooter Caleb Sharpe will be tried as a juvenile or adult. Sharpe’s case was moved to Nov. 26 after state attorneys requested a delay on Aug. 1. Spokane County Prosecutor Larry Haskell and Deputy Prosecutor Stefanie Collins said defense attorney Bevan Maxey has not been timely in sending the state reports from expert witnesses who were hired late last year by the defense to evaluate Sharpe’s mental health. Sharpe, who’s been in custody since the Sept. 13 incident that resulted in the death of fellow classmate Sam Strahan and the wounding of three girls, was charged with one count of first-degree murder, three counts of attempted murder and 51 counts of second-degree assault relating to the other students in the hallway in danger of being shot. Sharpe will turn 17 in October. The request was granted for an upfront retainer of $3,500. Since then, according to court records, Adler and a second expert witness, Dr. Craig Beaver, a forensic neuropsychologist from Boise, have charged taxpayers at least $25,000 for their services, including travel and lodging. Reached by phone Tuesday, Maxey said he wasn’t intentionally withholding reports from prosecutors, but rather the types of interviews and work Adler was doing with Sharpe take time, effort and money. As part of the state’s continuance, Superior Court Judge Michael Price ordered Maxey to provide “all reports and related materials” by Saturday. Price also ordered that Maxey make Adler and Beaver available for an interview with prosecutors before the November court proceeding, called a declination hearing. Maxey said Price’s order was the first time the court had set a specific due date – one he intended to meet. Since Sharpe’s arrest, attorneys have delayed the hearing four times. “We are working diligently to comply with the court’s order, and we will hit that court’s order,” Maxey said. In May, the court ruled that prosecutors could use more than an hour of statements Sharpe gave to detectives following his arrest after the shooting. Among other pieces of evidence, investigators were told by the teen that he flipped a coin to decide whether to follow through with his plan, which involved bringing a loaded AR-15 rifle and handgun – both owned by his father – to school and firing indiscriminately at students. Haskell said Tuesday he was hopeful the case would see no further delays before November. Published: Aug. 28, 2018, 3:51 p.m. Updated: Aug. 28, 2018, 9:20 p.m.